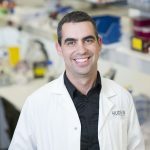 Dr Jason Cain is Head of the Developmental and Cancer Biology research group in Hudson Institute’s Centre for Cancer Research and a Chief Investigator for the Paediatric Precision Medicine Program. A developmental and cancer biologist, Dr Cain is driving cutting-edge research to understand the role of critical embryonic signalling pathways and epigenetic mechanisms in normal and abnormal development and disease, including paediatric connective tissue (sarcomas) and brain cancers (including atypical teratoid rhabdoid tumours, medulloblastoma and diffuse intrinsic pontine glioma). 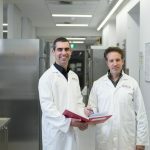 After completing his PhD studies at Monash University in 2006, Dr Cain moved to The Hospital for Sick Children in Toronto, Canada to complete postdoctoral training with Dr Norman Rosenblum in the Program of Developmental and Stem Cell Biology. 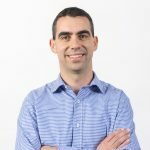 Here, he focused on the role of the Hedgehog signalling pathway in renal development and disease, developing specialised skills in developmental biology, mouse models of human disease, and congenital and paediatric disease. On his return to Australia in late 2010, he joined Hudson Institute of Medical Research as a Research Fellow under Professor Neil Watkins. 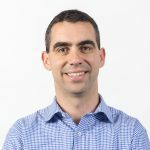 In 2014, Dr Cain was appointed Head of the Developmental and Cancer Biology laboratory, continuing his work in developmental biology and paediatric brain and solid cancers. Marini KD, Croucher DR, McCloy RA, Gonzalez-Rajal A, Hastings JF, Jayasekara WSN, Alamgeer M, Boolell V, Vaghjiani V, Szczepny A, Han JZR, Waugh T, Lee HC, Oakes SR, Kumar B, Harrison CA, Lorensuhewa N, Kita B, Barrow R, Robinson BW, deKretser DM, Wu J, Ganju V, Burgess A, Martelotto LG, Rosello FJ, Cain JE*, Watkins DN* (2018) Inhibition of activing signaling in lung adenocarcinoma increases the therapeutic index of platinum chemotherapy. Science Translational Medicine 10(451). *Co-corresponding authors. Abstract. Reprint. Full text. Szczepny A, Rogers S, Jayasekara WSN, Park K, McCloy RA, Cochrane CR, Ganju V, Cooper WA, Sage J, Peacock CD, Cain JE, Burgess A, Watkins DN (2017) The Role of Canonical and Non-Canonical Hedgehog Signaling in Tumor Progression in a Mouse Model of Small Cell Lung Cancer. Oncogene 36:5544-5550. Fleuren EDG, Vlenterie M, van der Graf WTA, Hillebrandt-Roeffen MHS, Blackburn J, Ma Xiuquan, Chan H, Magias MC, van Erp A, van Houdt L, Cebeci SAS, van de Ven A, Flucke UE, Heyer EE, Thomas D, Lord CJ, Marini KD, Vaghjiani V, Mercer TR, Cain JE, Wu J, Versleijen-Jonkers YMH, Daly RJ (2017) Phosphoproteomic profiling reveals ALK and MET as novel actionable targets across synovial sarcoma subtypes. Cancer Res77:4279-4292. Muscat A, Popovski D, Jayasekara WSN, Rossello FJ, Alamgeer M, Algar EM, Ferguson M, Watkins DN, Cain JE, Ashley DM (2016) Low-Dose Histone Deacetylase Inhibitor Treatment Leads to Tumour Growth Arrest and Multi-lineage Differentiation of Malignant Rhabdoid Tumours. Clin Cancer Res 22:3560-3570. Ramaswamy V, Hielscher T, Mack SC, Lassaletta A, Lin T, Pajtler K, Jones DTW, Luu B, Cavalli FMG, Aldape K, Remke M, Mynarek M, Rutkowski S, Gururangan S, McLendon RE, Lipp ES, Dunham C, Hukin J, Eisenstat DD, Fulton D, van Landeghem FK, Santi M, van Veelen ML, Van Meir EG, Osuka S, Fan X, Muraszko KM, Tirapelli DPC, Oba-Shinjo SM, Marie SK, Carlotti CG, Lee JY, Rao AA, Giannini C, Faria CC, Nunes S, Mora J, Hamilton RL, Hauser P, Jabado N, Petrecca K, Jung S, Massimi L, Zollo M, Cinalli G, Bognár L, Klekner A, Hortobágyi T, Leary S, Ermoian RP, Olson JM, Leonard JR, Gardner C, Grajkowska WA, Chambless LB, Cain J, Eberhart CG, Ahsan S, Massimino M, Giangaspero F, Buttarelli FR, Packer RJ, Emery L, Yong WH, Soto H, Liau LM, Everson R, Grossbach A, Shalaby T, Grotzer M, Karajannis MA, Zagzag D, Wheeler H, von Hoff K, Alonso MM, Tuñon T, Schüller U, Zitterbart K, Sterba J, Chan JA, Guzman M, Elbabaa SK, Colman H, Dhall G, Fisher P, Fouladi M, Gajjar A, Goldman S, Hwang E, Kool M, Ladha H, Vera-Bolanos E, Wani K, Lieberman F, Mikkelsen T, Omuro AM, Pollack IF, Prados M, Robins HI, Soffietti R, Wu J, Metellus P, Tabori U, Bartels U, Bouffet E, Hawkins CE, Rutka JT, Dirks P, Pfister SM, Merchant T, Gilbert MR, Armstrong TS, Korshunov A, Ellison DW, Taylor MD (2016) Therapeutic Impact of Cytoreductive Surgery and Irradiation of Posterior Fossa Ependymoma in the Molecular Era: A Retrospective Multicohort Analysis. J Clin Oncol 34:2468-2477. Blake J, Hu D, Cain JE, Rosenblum ND (2016) Urogenital development in Pallister-Hall syndrome is disrupted in a cell-lineage-specific manner by constitutive expression of GLI3 repressor. Hum Mol Genet 25:437-447. Cochrane CR, Szczepny A, Watkins DN, Cain JE (2015) Hedgehog Signaling in the Maintenance of Cancer Stem Cells. Cancers 7:1554-1585. Buczkowicz P, Hoeman C, Rakopoulos P, Pajovic S, Letourneau L, Dzamba M, Morrison A, Lewis P, Bouffet E, Bartels U, Zuccaro J, Agnihotri S, Ryall S, Barszczyk M, Chornenkyy Y, Bourgey M, Bourque G, Montpetit A, Cordero F, Castelo-Branco P, Mangerel J, Tabori U, Ho KC, Huang A, Taylor KR, Mackay A, Bendel AE, Nazarian J, Fangusaro JR, Karajannis MA, Zagzag D, Foreman NK, Donson A, Hegert JV, Smith A, Chan J, Lafay-Cousin L, Dunn S, Hukin J, Dunham C, Scheinemann K, Michaud J, Zelcer S, Ramsay D, Cain J, Brennan C, Souweidane MM, Jones C, Allis CD, Brudno M, Becher O, Hawkins C (2014) Genomic analysis of diffuse intrinsic pontine gliomas identifies three molecular subgroups and recurrent activating ACVR1 mutations. Nat Genet 46:451-456. Cain JE, McCaw A, Jayasekara S, Rossello FJ, Marini KD, Irving AT, Kansara M, Thomas DM, Ashley DM, Watkins DN (2013) Sustained Treatment With Low Dose Histone Deacetylase Inhibitor LBH589 Induces Terminal Differentiation of Osteosarcoma Cells. Sarcoma 2013:608964. Kelleher FC, Cain JE, Healy JM, Watkins DN, Thomas DM (2012) Prevailing importance of the hedgehog signaling pathway and the potential for treatment advancement in sarcoma. Pharmacol Ther 136:153-168. Cain JE, Islam E, Haxho F, Blake J, Rosenblum ND (2011) GLI3 repressor controls functional development of the mouse ureter. J Clin Invest 121:1199-1206.